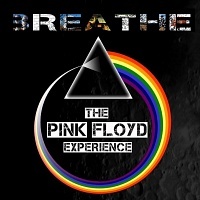 Breathe - The Pink Floyd Experience are an Irish Pink Floyd tribute band. "Acclaimed for its note-for-note perfection, unique Floydian visuals and state-of-the art sound & lights, BREATHE endeavor to emulate and recreate the sound and soundscape of Pink Floyd's legendary live shows. An exciting 8 piece live band, made up of some of the finest session musicians in the country, its members having previously played with an array of Ireland's top artists including; Sinead O'Connor, Clannad, Gavin Friday, Jack L, Brian Kennedy, Rebecca Storm, Lesley Garrett, The Irish Tenors, The RTE Concert Orchestra, Brian Downey and Eric Bell (Thin Lizzy)."